Ahead of One Mic Naija April (the anniversary edition, we are speaking with the performers on what to expect from them at the show! Here is our quick chat with 'Cool Parry' rapper, Falz, who recently released a new single, "High Class"
1. What will 2013 look like music wise from your perspective? 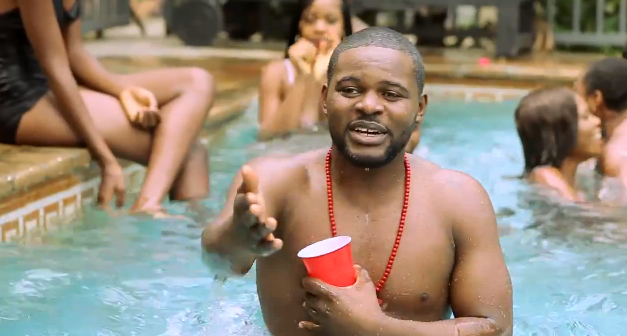 2013 is going to a major year for Falz the bahd guy. I have a whole lot planned out, but most importantly my debut album will be released this year so I expect that will be a major step forward. I just released a big single. Expect more hit singles, videos and a very interesting album! 2. Have you performed live before? What was your first experience like? Oh yes! It was great. I enjoyed the experience very much. Its the most natural as far as performances go and I love natural. 3. Why did you sign up for #OneMicNaija? Because I believe OneMicNaija is a great platform that 'd help get my music heard and loved by a good amount of people. I also really like the concept of the show and the fact that the performances are live. That differentiates it from other shows. 4. What should we expect from your performance? My performance is going to be very natural and artistic. And ofcolz fery niize. 5. Which of the other artistes on the line up have you worked with before or would love to work with? I haven't worked with any of them before but Jaywon is cool and i wouldn't mind working with him. There you have it folks, Falz promises you a very niize performance! One Mic Naija holds on Sunday April 28th at Swe Bar, 5pm with regular hosts, Kel and KB. One Mic Naija is supported by 360Nobs, iCr8media, abisona dot com, City 105.1FM, Cool Beans Clothing Company, Kennis Music Channel, Rhythm 93.7FM, Reel Radio, NET and Zapphaire Events.